Key Difference: Automotive Engineering is a sub-branch of vehicle engineering. It can also be considered as a sub-branch of mechanical engineering that has split from the main branch focusing on the automotive field of study. Automobile engineering focuses on the cars. It specifically deals with the designing of cars, operations in production of cars, designing of engines and fuel management. Thus, automobile engineering can be considered as a sub branch of automotive engineering. However, generally both the branches are used interchangeably to denote a branch dealing with motor vehicles. A lot of people are confused about the automotive and automobile engineering. They both tend to be interrelated and therefore, most often are used interchangeably. However, few consider that automobile engineering focuses more on the cars, whereas automotive engineering can be defined as an umbrella term to denote a branch that deals with all motor vehicles. Therefore, based on this subtle difference, one can differentiate the two. Still, one must remember that in common usage the terms are used interchangeably. Automotive engineering deals with the design, manufacture and operation of ground based vehicles. 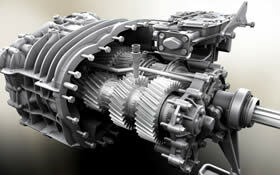 It includes motorcycles, buses, trucks, automobiles and also their engineering sub parts. It mainly focuses on the design, research and development, and production. Automotive is used as an adjective that indicates something that is related to or concerned with motor vehicles. 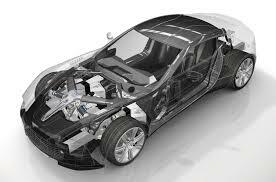 Therefore, Automotive Engineering also deals with the construction and designing of automotives. Automotive Engineering may further be specialized in any of the aspects of the entire engineering process like on the design or on the testing and research. There are numerous job opportunities for the automotive engineers as their primary employers include – automobile companies, manufacturers of individual car components, companies that produce automotive related accessories and consumables like tyres, dashboards. They are also hired by concept automobile design firms, motor sport teams and also by automotive consultancy firms. In common usage, automobile engineering is the same as automotive engineering. However, few consider that automobile engineering focuses on the cars. It specifically deals with the designing of cars, operations in production of cars, designing of engines and fuel management. Thus, automobile engineering can be considered as a sub branch of automotive engineering in this context. An automobile is also used as a synonym to automotive. However, it generally refers to a type of passenger vehicle that is designed for operation on ordinary roads. The word is generally used in context to a vehicle with four wheels that works on a gasoline or diesel internal combustion engine. Therefore, an automobile is generally used to denote the cars; hence, automobile engineering is also about the cars. However, the engineering branch may also cover study of scooters and mopeds that run on their own engines. Automobile engineering focuses on the cars. It specifically deals with the designing of cars, operations in production of cars, designing of engines and fuel management. Thus, automobile engineering can be considered as a sub branch of automotive engineering. Automotive Engineering specifically deals with the construction and design of automobiles. Automotive Engineering is a sub branch of vehicle engineering. It deals with vehicles that ply on roads. Generally, automotive and automobile engineering are used interchangeably. To learn and understand the automobiles and their classification. To understand the components of an automobile. To gain knowledge of gear boxes and running gears. To understand the components of automobile electrical system. To design the initial blueprints. To be involved in the entire process of manufacturing. To transform the plan and research into a viable end product. To learn the basics of engineering. To understand and assess the safety engineering. To measure the fuel economy and emissions. To understand vehicle dynamics. New prototypes are designed by keeping these issues in mind. To evaluate durability and corrosion engineering concepts. To understand and plan the costing model of a vehicle. To assess the quality in the production process. To focus on the maintenance related processes of the automobiles. Product Engineering or Design Engineering – it deals with the designing and testing of the components and systems of automobiles. Manufacturing Engineers deal with the activities of creation and assembling the whole parts of automobiles. Design and layout of the equipments, machine rates and line rates, specification of automation equipment, and manufacturing safety procedures are also made by them. Development Engineers – They are related to the profile of connecting all systems in a completed automobile. Explained very well. Thank You! Best explanation on the difference!!!! realyy..it is the best website ... one LIKE for this site. Some more definitions is needed. But this has created a great confidence in me....! It is a right difference and has developed a confidence in me.....! It is the best answer for me to chose the one between automotive engineering and automobile eng. . . . It is helpfull.